The private residential property prices decrease of 0.6%, is steeper than the 0.1% decrease in the previous quarter. 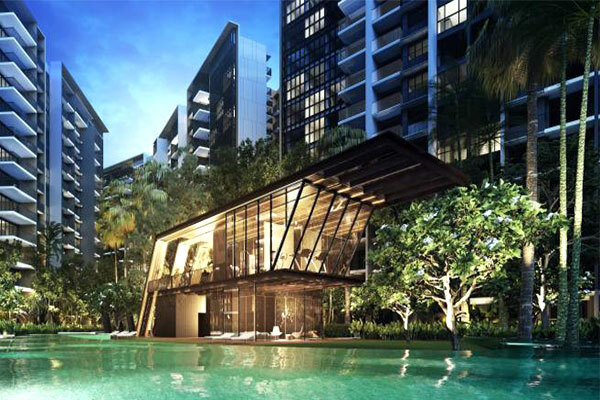 The Urban Redevelopment Authority (URA) released the flash estimate of the price index for private residential property for 1st Quarter 2019 on April 1. Overall, the private residential property index decreased 0.9 point from 149.6 points in 4th Quarter 2018 to 148.7 points in 1st Quarter 2019. This represents a decrease of 0.6%, compared to the 0.1% decrease in the previous quarter. Prices of non-landed private residential properties decreased by 2.9% in Core Central Region (CCR), compared to the 1.0% decrease in the previous quarter. Prices in the Rest of Central Region (RCR) decreased by 0.2%, after registering an increase of 1.8% in the previous quarter. Prices in Outside Central Region (OCR) were unchanged, following the 0.7% increase in the previous quarter. The flash estimates are compiled based on transaction prices given in contracts submitted for stamp duty payment and data on units sold by developers up till mid-March. The statistics will be updated on 26 April 2019 when URA releases its full set of real estate statistics for 1st Quarter 2019. Past data have shown that the difference between the quarterly price changes indicated by the flash estimate and the actual price changes could be significant when the change is small. The public is advised to interpret the flash estimates with caution. “Based on the preliminary estimates released by the URA for Q1 2019, the private residential property index dropped by -0.6% to 148.7, the second consecutive quarter of decline since Q4 2018. While not yet a trend, this additional data point has reinforced that the cooling measures introduced in July last year have effectively dampened buying sentiments. Prices have fallen across all segments, with the exception of landed property, where prices have increased by 1.1%. This quarter’s decline was led by the CCR segment, which fell by -2.9%. Prices in the RCR segment fell -0.2%, while those in the OCR segment remained flat. CBRE expects sales at mass market projects to remain resilient as the overall prices of units are still affordable. 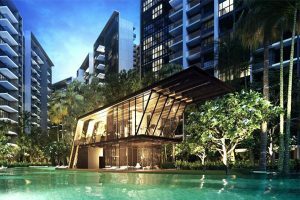 “Despite two straight quarters of decline in the URA private residential property price index, we think it is too premature to conclude that prices will continue to head south from here on. We note that the launch pipelines could also ease going forward as most of the bulky ones have been launched or being launched. Colliers said that the decrease in Q1 non-landed CCR prices was much steeper than its expectation. Adding that a closer look at the transactions during the quarter suggests that the decline in median prices for certain projects could have contributed to the sharper drop as developers seek to clear inventory in ongoing launches. Colliers noted that private residential property prices of some earlier launches in the Rest of Central Region may move north in the near future. It added that private residential property prices fall is not surprising. Ms Song said that private residential property prices in the Outside Central Region area continued to be resilient, given the boost in sentiment from the Cross Island Line announcement which helped developers hold onto prices. Are you planning to invest in properties like the collective sale relaunch site but ensure of funds availability for purchase? Don’t worry because iCompareLoan mortgage broker can set you up on a path that can get you a home loan in a quick and seamless manner.